You can’t say Samsung isn’t willing to try just about anything. If there’s one recurring theme with the company, it’s that it tests products in public and sees what sticks. Phablets. Six different smartwatch models in the last 13 months. A virtual reality headset. Sometimes those things take off and influence the entire industry, like phablets did. But a lot of times those attempts don’t work. Samsung’s latest undertaking is a new phone called the Galaxy Note Edge. The Edge is almost the exact same phone as the Galaxy Note 4 that launched earlier this fall but with one big difference: The screen curves over the right edge of the phone and displays additional content like notifications, stock tickers, and launchers for your favourite apps. 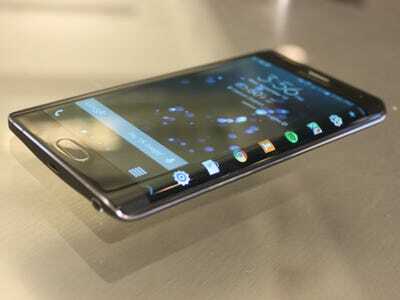 But that curved screen doesn’t come cheap. The Edge starts at $US946 off contract, or almost $US200 more than the Galaxy Note 4. Carriers will offer on-contract discounts and other payment plans, but they will vary. I’ve been using the Edge for a few days. It has all the elements that make the Note 4 a wonderful phone, but I don’t think the curved portion of the screen adds enough to justify spending so much more. 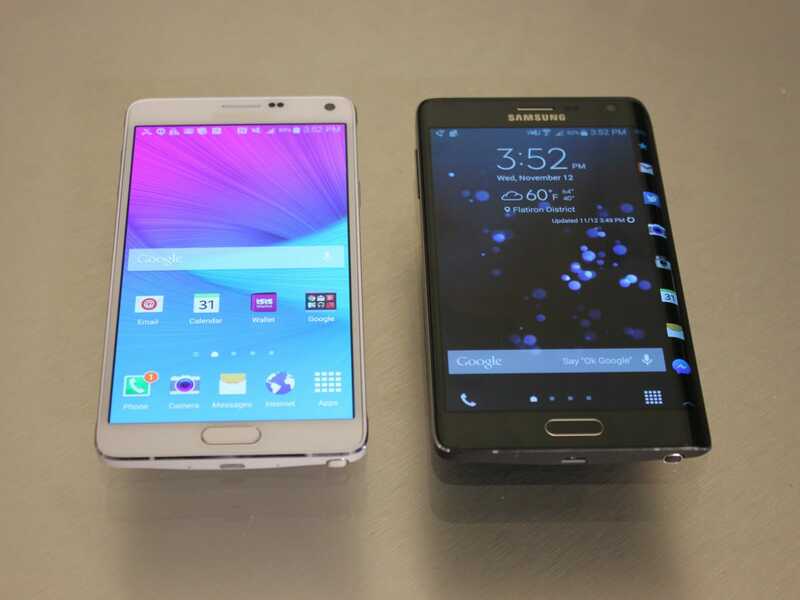 Feature-wise, the Galaxy Note Edge is pretty much the same phone as the Galaxy Note 4. It has the same sharp screen (the best ever put on a phone), same stylus, same camera, same fingerprint sensor, and same multitasking options. So I’m not going to waste too much time going over all that again. 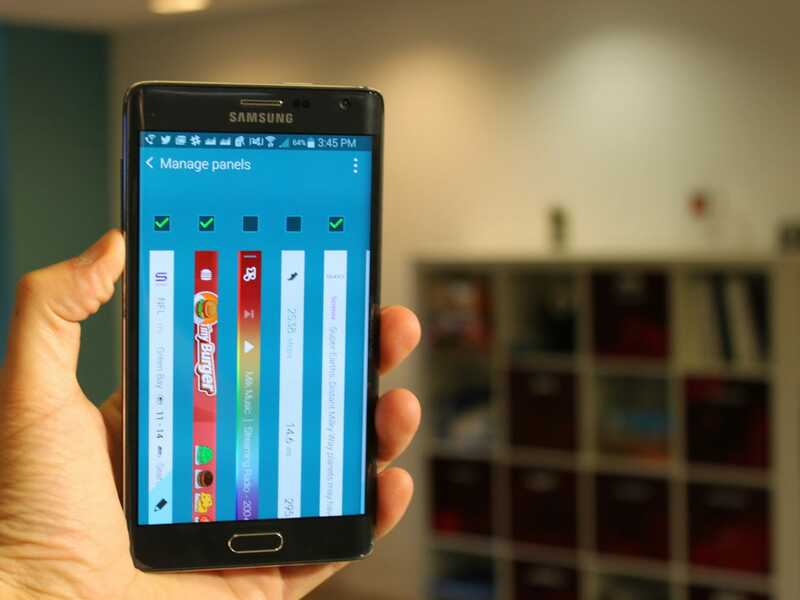 The Galaxy Note 4 is the best phone Samsung has ever made. The Galaxy Note Edge is an experimental version of that. The Edge’s screen is 5.6 inches, including the curved portion. The Note 4 is slightly larger with a 5.7-inch screen. And a few things have been shifted around. The power button is now on the top instead of the right side to make room for the curved screen, for example. The “edge” portion of the display functions independently, so you can swipe and tap away without affecting what happens on the rest of the screen. From the home screen, it displays your favourite apps, which Samsung says is good for freeing up space on the rest of your screen. You can load it up with as many apps as you want. You can set the edge to display incoming notifications from your apps instead of seeing them in the title bar at the top of your screen like on other Android phones. Through Samsung’s app store, you can download more “panels” for the Edge. Right now, the selection is limited to a few panels like Yahoo sports, Twitter trends, and a match game called Tiny Burger. Finally, the edge doubles as a bedside clock. You can set it to light up with the time during certain hours when the main screen is switched off. It’s dim so it doesn’t drain the battery too much, but ideally you’ll have this feature on when you’re charging at night. That’s it. An extra $US200 or so on top of the regular Galaxy Note gets you a curved display that makes it moderately easier to check notifications, news, and launch apps. I found that it all worked well, but with a few annoying quirks. 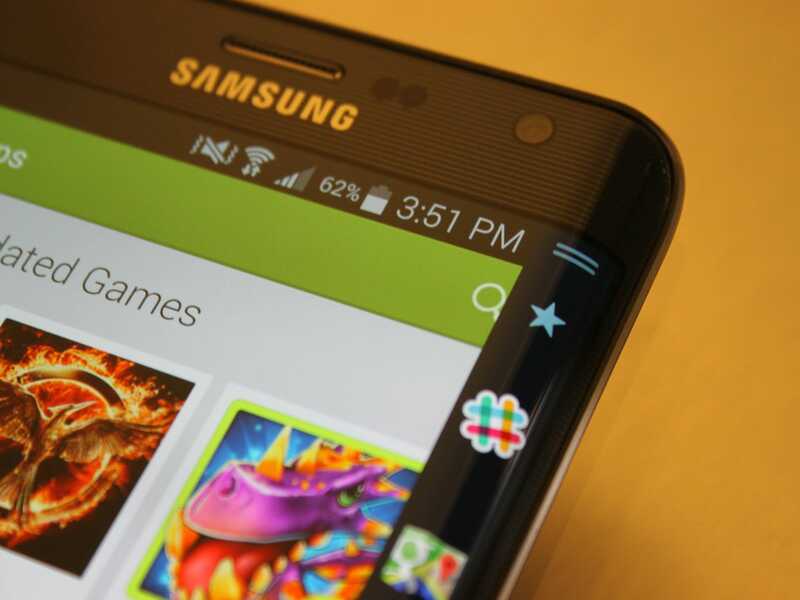 Business InsiderThe curved portion of the screen sometimes overlaps the apps you’re using. The panel selection is extremely limited at maybe a dozen or so. And it’s annoying that you have to install them from Samsung’s separate app store instead of the Google Play store where most people get apps. Usually, when you install an Android app from Google Play, they come with extras like the widgets you can keep on your home screen. But the Note Edge forces you to use a separate app store. Plus the panels are kind of hard to view. Most run perpendicular to the screen, so you have to turn your head or the phone to get a full glimpse at incoming stocks, weather, notifications, or whatever else. I still think it’s much easier to use Android’s regular drop-down notifications center. I also wasn’t crazy about the Twitter panel, which only shows trending topics. I wish it showed notifications like replies and direct messages instead. Business InsiderThere’s just a small selection of extra panels for the Edge. The Edge did make it easier for me to switch between my favourite apps, and it was kind of nice to quickly launch them from the side with my thumb. Plus, the side panel lets you store more apps than the normal dock at the bottom of the main screen. I loaded it up with all the apps I normally keep on my home screen, which freed up a lot of space for widgets instead. The Galaxy Note 4 is a wonderful phone, one of the best you can buy. The Note Edge may mostly be the same device, but I don’t think the incremental improvements the curved portion of the screen add are worth the extra $US200. The Edge attempts to solve problems that don’t really exist with smartphones today. Android already handles notifications and widgets really well. There’s no reason to add a separate portion of the screen for them, especially if it costs so much. 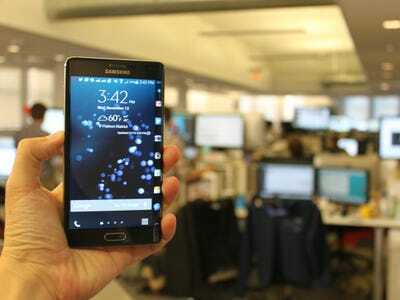 If you want a great Android phone, I suggest going with the Galaxy Note 4. It’s Samsung’s best phone and offers a much more consistent experience than the Edge.